“Sing apple tree song, Mommy?” My little man makes a tunes request for his mama-jukebox. It’s one of his favorites, the “Johnny Appleseed Song.” Honestly, it’s one of my favorites, too. I feel all sunshiny and light when I sing it, and I’m pretty sure my son feels the same way. Today, I’m singing it as I lounge beneath the shade of a bottle brush tree. I watch my boy create an imaginary village out of sticks, leaves, and toy trucks. There’s a sort of peace that hovers over our little scene. The Lord is good to me and so I thank the Lord: for giving me the things I need the sun, and the rain, and the apple seed. The Lord is good to me. I’m sitting here ‘neath the blue, blue sky doing as I please. Singing with my feathered friends, buzzing with the bees. There is something magical about being in nature. You know what I mean, don’t you? No matter the weather, morning, noon, or night, just being outside in God’s creation changes something inside you. Thankfully, nature has the same effect on my son as well! Letting him play outside is a lifesaver for me because, man-oh-man I can’t imagine him cooped up inside all day. He just has too. much. energy. 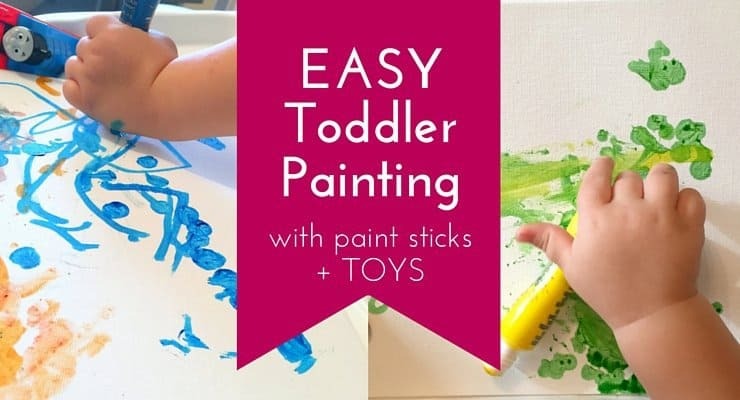 Of course, in this day and age I would never send a toddler outside alone. Instead, I grab a book and a chair and watch him play. It’s a restful experience for both of us! How about your kids? Does your family feel the call of the wild like mine does? Outside play is so important for child development. 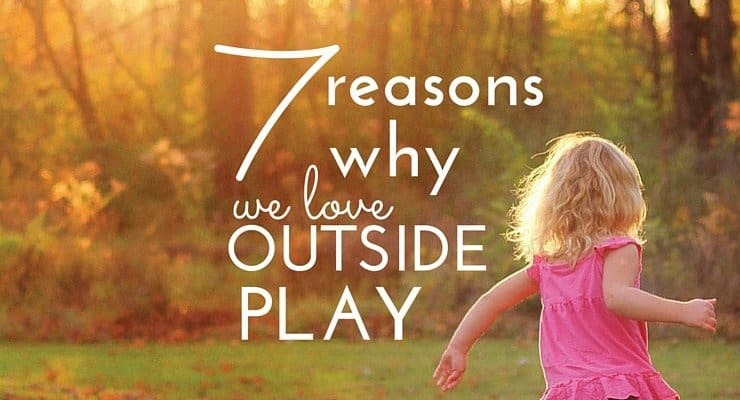 Here are seven compelling reasons why making outside play should be a priority in your day! Outside play encourages exploration and science-based skills. When is the last time you stopped to look, really look, at a wildflower? Nature has the amazing ability to bring out the little scientist in your child. Show them how to compare leaves from different tree species. Experiment and explore together. Outside play is the perfect environment to encourage these critical thinking skills! Outside play improves attention span. 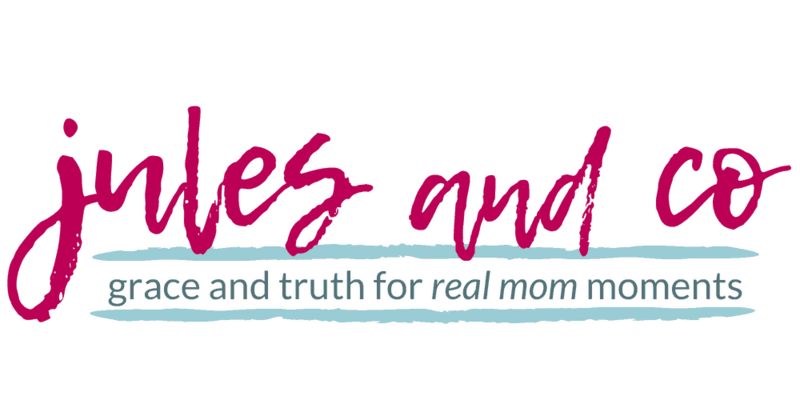 Mamas rejoice! Researchers have found that exposure to green spaces can help lengthen the attention span in young kids. According to a study done in 2000, green spaces allow “neural inhibitory mechanisms to rest and recover from use.” What on earth does that mean? Simply put, when your kids play outside their brains heal and grow. Amazing right? Playing pretend outdoors is also beneficial for lengthening your child’s attention span. 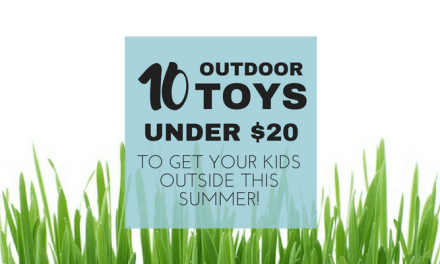 Try these outdoor pretend play backyard adventures! Outside play exposes your kids to essential vitamins. Do you struggle to get your kids to take their vitamins? Get Vitamin D for free! Let your kids play for a few minutes outside without sunscreen, the lotion them up. Vitamin D works wonders for the immune system, builds strong bones and teeth, and can even reduce the risk of getting the flu. Kids need to practice gross motor skills. It’s one of the hallmarks of childhood development! Unfortunately, if we keep them inside all day, they’re just not afforded the opportunity to build those skills in an appropriate environment. We’ve all said it, “No throwing in the house!” The solution? Take it outside! According to Early Childhood News, “As many as half of American children are not getting enough exercise… and risk factors like hypertension and arteriosclerosis are showing up at age 5.” If you want to protect the health of your kids, send them outside to play! Outside play bolsters your child’s spirit. One of the most amazing things about outside play is that is exposes kids to God’s creation. It’s as if God wrote one giant love letter, ripped it up into tiny pieces and sprinkled it all over the world. With each new outdoor discovery, your little one finds another little piece of God’s love letter. Teaching your kids to enjoy nature is a simple way to point them to God and his wonderful creation. A connection with their Father is the single most important factor in our children’s lives. 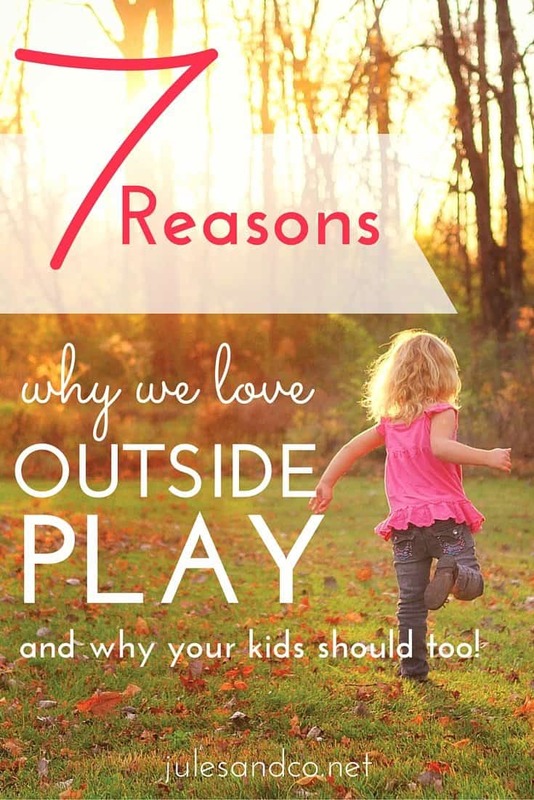 Why not use outside play as a tool to teach your child about Jesus? 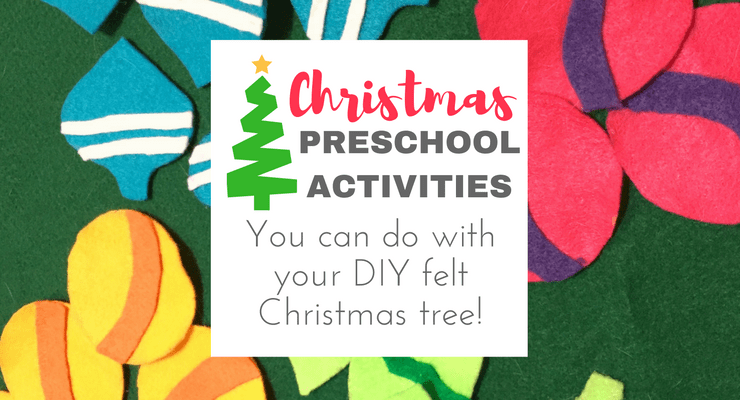 Looking for a simple way to integrate outdoor play + early learning + Bible teaching with your toddler or preschooler? 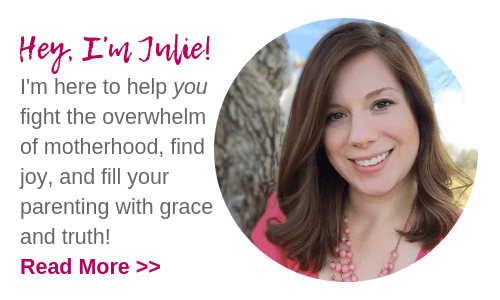 Check out my God’s World early learning Bible curriculum! It’s designed to be taught over one whole month, with three simple, doable activities each week. 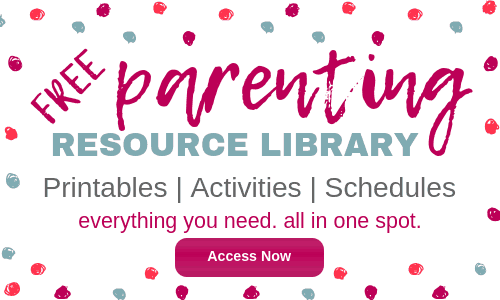 If you’ve always wanted to teach your child God’s Word and build brain muscles at the same time, this resource is for you! Outside play helps regulate emotions. One of the key factors in outside play is that kids are usually the rule-makers. Inside, mom makes the rules. (Hey, no judging here. House rules are essential!) 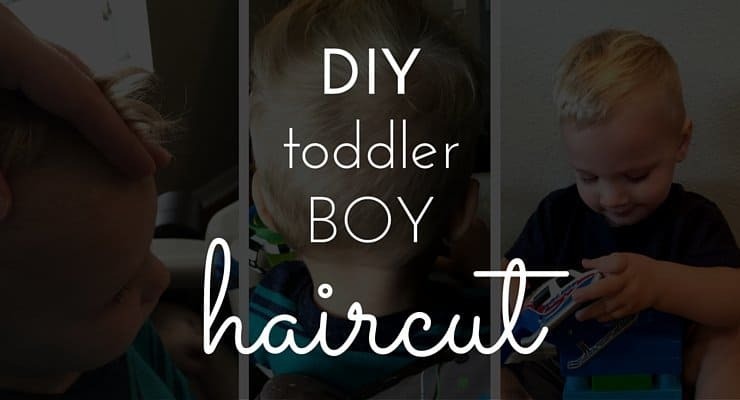 Outside, your little one imagines and creates. He’s in charge of his own little world. This is huge for emotional development. They start a game of tag, assign roles, and enforce rules. That’s a lot of emotional regulation at work! Outside play provides a safe, open environment for kids to test out boundaries and develop a sense of what works and what doesn’t as they play. Outside play helps regulate sleep. This means better naps and higher quality sleep at night! As the experts as the National Wildlife Federation say, “Regular doses of bright natural light help children stay more alert during the day, elevate their moods and make it easier to sleep at night.” My little guy has always had a love-hate relationship with sleep. Can you relate? Get your kiddo outside in the morning and reap the rewards at night! So, what are you waiting for? It’s time to break out that classic mama phrase, “Go play outside!” Your kids will be the better for it, and why you’re at it, why not join them? Check out the resources below and get inspired about outside play! My daughter is reading a book “Last Child in the Woods” which she recommends. It’s about how kids no longer play outside and how that’s hurting them.